Papa John’s is ready for the hurt to end. This wounded nation expected better of Papa “John” Schnatter, and his racist remarks have cut us deep. His crusade against his former company may have sprinkled red pepper flakes on the wound, but the time has come to gather around the kitchen table of forgiveness and remember what makes us who we are (those little pepperoncini). No more will we be held down by the garlic sauce of division and mistrust. The pizza ... is sorry. Truly moving. 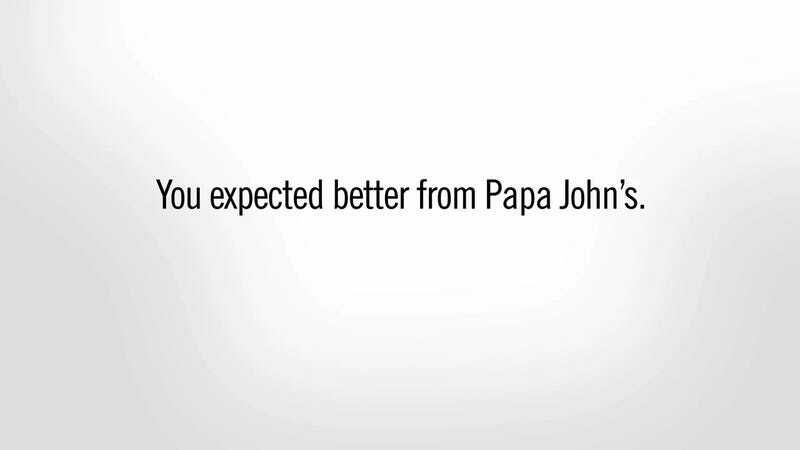 In an attempt to help Papa John’s, we have improved its apology.